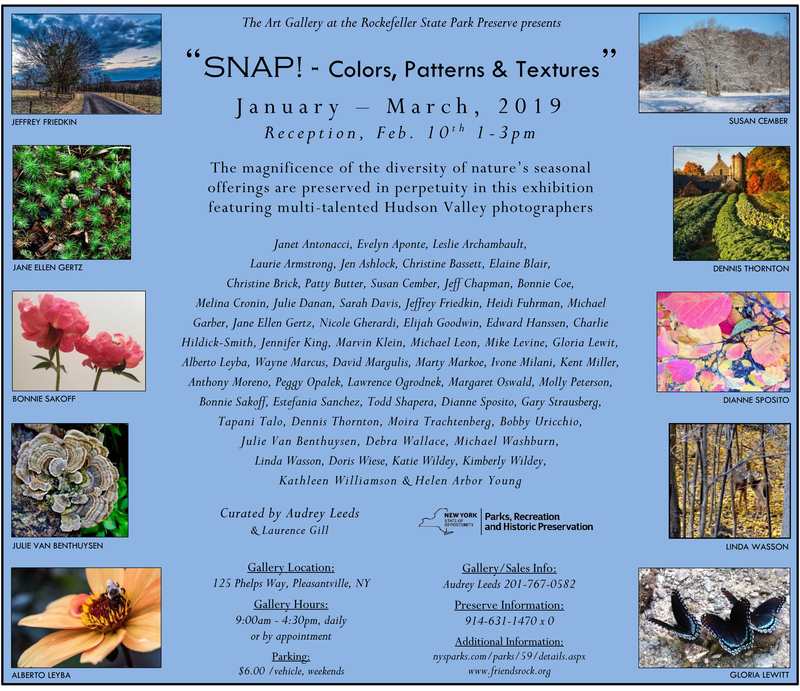 Julie Danan, Heidi Fuhrman, Elijah Goodwin, Marvin Klein, Wayne Marcus, Larry Ogrodnek, Julie Van Benthuysen, and Michael Washburn all have images in this group show at the Rockefeller State Park Preserve Gallery, as well as several former members. Reception is on February 10, 1-3pm. Show runs from January through March, 2019.